Skydive Airlie Beach takes you on the adrenaline rush journey of all time as you take the ultimate jump of 14,000 ft. 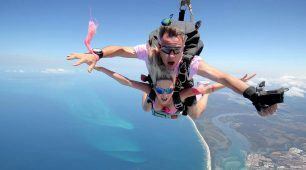 Experience the ultimate thrill of your life on this unforgettable experience. 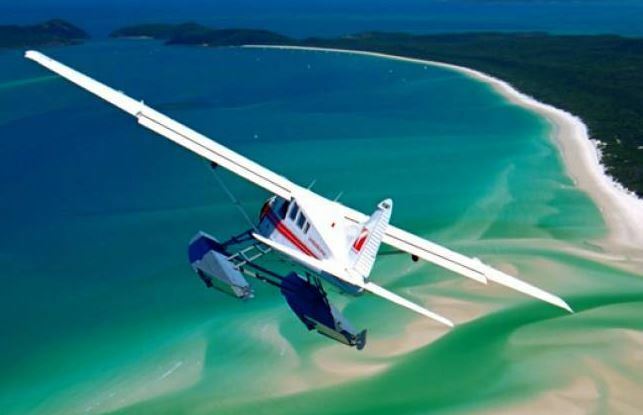 Breathtaking view over the stunning Whitsundays will surely leave you at awe. 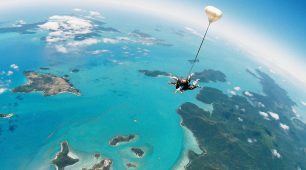 Located in the Whitsunday area, Airlie beach is one of the best drop zones in the world. 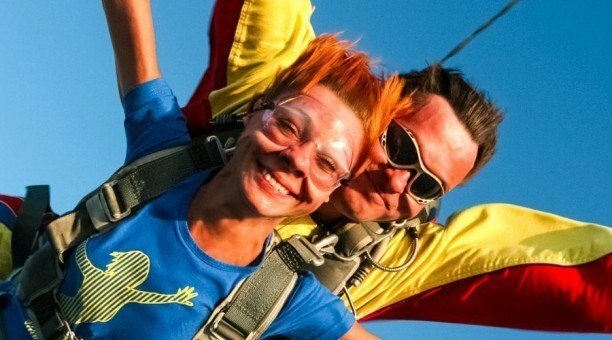 Once you arrive, you will be paired with one of our experienced tandem instructors. 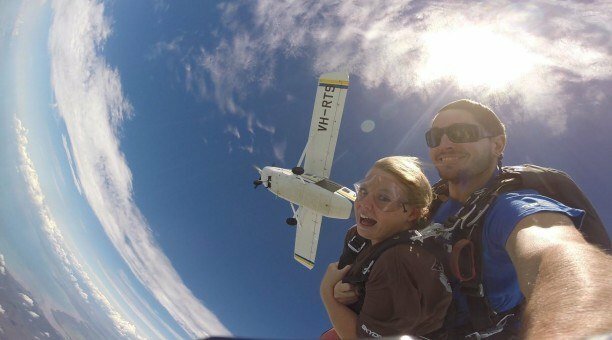 Your instructor will give you a safety briefing and train you for your skydive before getting on board the custom skydiving built air plane. 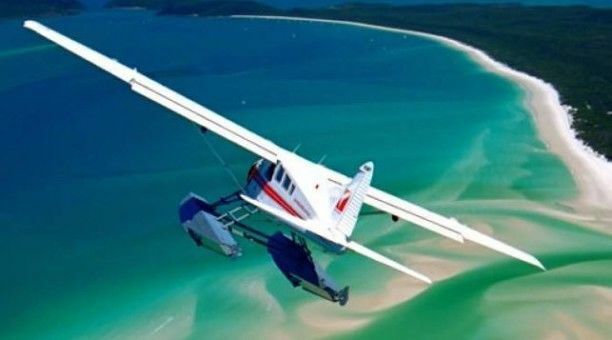 On the way up you get to enjoy the most breathtaking views, flying directly over the Whitsundays islands. 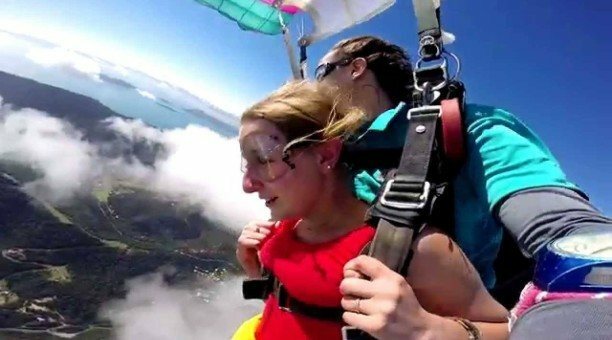 Many jump times are available every day, from 6:20 am to 3 pm, please note in the booking message which time you would prefer. 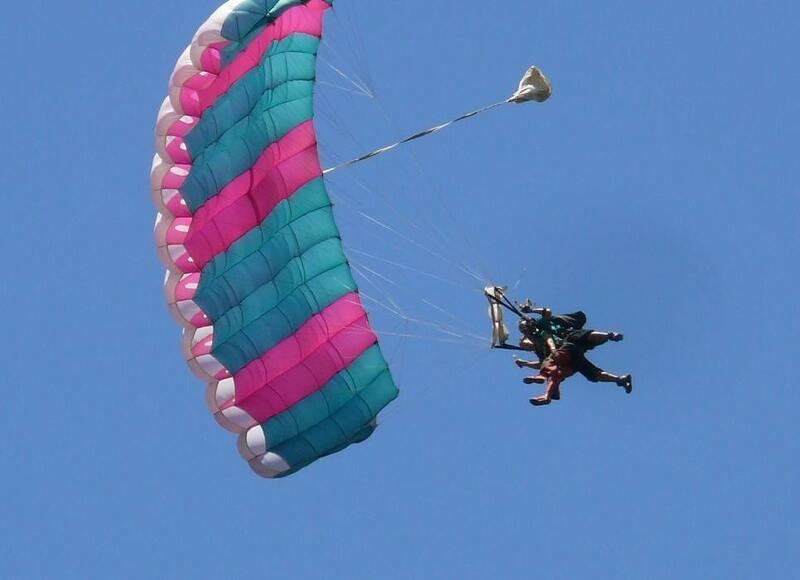 The operator reserves the right to change the jump time, so please keep a few hours extra free time on the day. *Please note that people above 95 kgs may not be able to jump. Payment can be made using Visa Card or MasterCard. This website acts as a booking agent only for the tours advertised herein. Although we endeavour to provide accurate information we are not liable for inaccurate information concerning services. 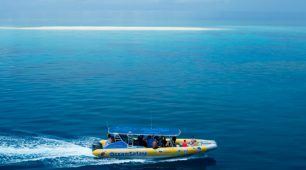 It is recommended all bookings are confirmed 48 hours in advance of the tour departure by calling +61 7 4037 2700. We are not liable for changes to tours, pricing or itineraries; all of which are subject to change without notice. Neither this site, nor any associated company or agent advertised through this site is responsible for costs or losses resulting from alterations, cancellations, loss of baggage, delay or personal injury. 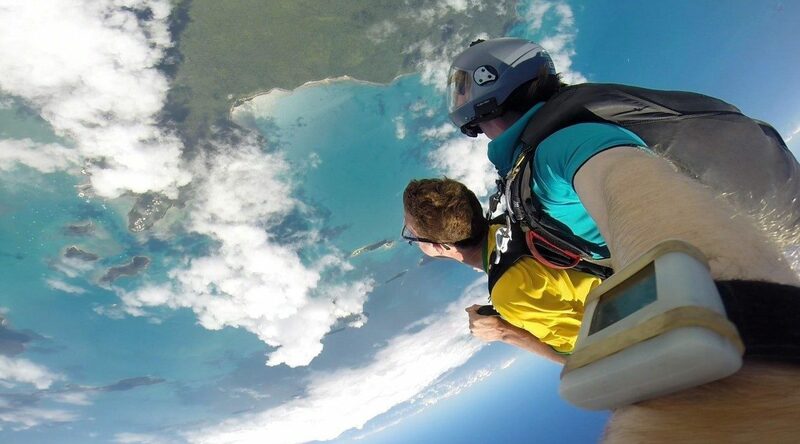 We strongly recommend everyone has their own travel insurance, and scuba diving insurance where applicable. 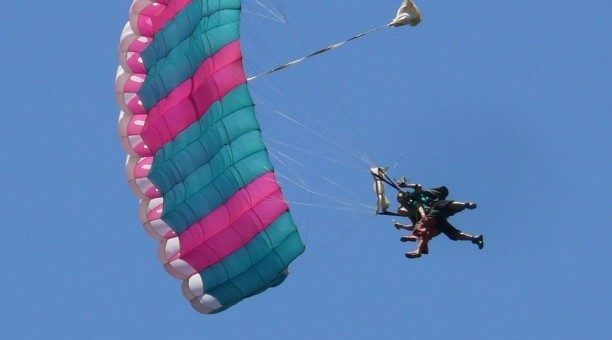 Tandem Skydive from up to 14,000 feet with free return transfers.